Former CEO said he didn't know Renault paid for Versailles chateau. Carlos Ghosn is reimbursing Renault €50,000 for expenses related to his 2016 wedding. Former Renault-Nissan-Mitsubishi Chairman and CEO Carlos Ghosn is reimbursing Renault €50,000 for a bill the automaker incurred for the use of a chateau at the Palace of Versailles for Ghosn’s lavish wedding in 2016. Ghosn, who is being detained in Japan and being investigated by French automaker Renault for financial misdeeds, said he was unaware that use of the facility was paid for by Renault. He believed the use of the chateau was part of Renault’s donation to the estate. French newspaper Le Figaro reported that Versailles allowed Ghosn to host his 2016 wedding reception on the palace grounds in exchange for Renault’s €2.3 billion donation. The chateau said in exchange for the donation, which was used for renovations, Renault was entitled to benefits worth up to 25% of the total donation. Le Figaro reported Renault asked for permission to rent out space in the Grand Trianon mansion on the Versailles grounds for a “dinner” on Oct. 8, 2016, the chateau said in a statement. It estimated the rental was worth €50,000. Ghosn maintains he was unaware of the fee attached to the building and paying Renault back. In turn, the automaker said it will alert French authorities. Jean-Yves Le Borgne, one of Ghosn’s lawyers, said the now resigned executive paid his wedding expenses, but that he used the space without knowing there might be a fee. “The event space at Versailles was made available to him without charge, and Mr. Ghosn was unaware that the use of the space would be charged against Renault’s allotted usage,” he said in a statement Friday. The issue came up as part of an ongoing investigation by the automaker. 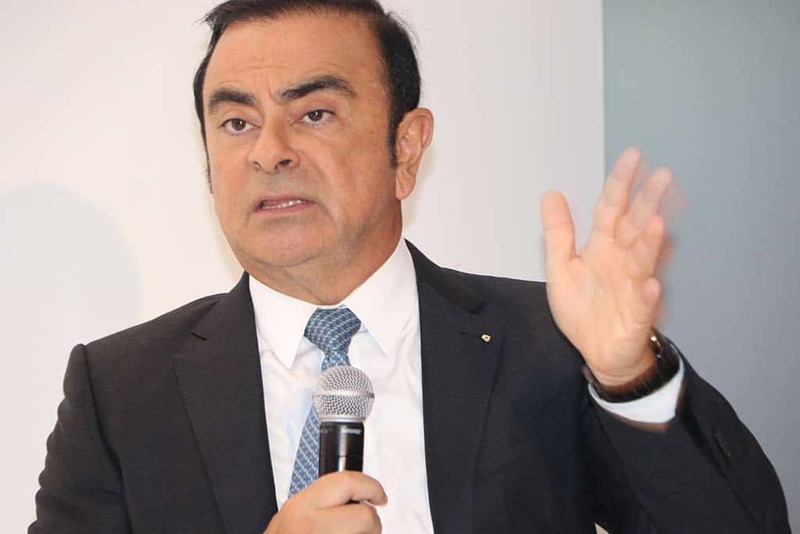 Following Nissan Motor’s lead, Renault is looking into Ghosn’s financial dealings during his tenure leading the French automaker, and the query turned up the €50,000 expense. As a result, Ghosn was ousted by Nissan and Mitsubishi as chairman and CEO as the allegations that he committed a variety of financial transgressions, including allegedly hiding millions of dollars in income and falsifying financial reports. The former chairman and CEO of the Renault-Nissan-Mitsubishi Alliance was arrested after he arrived in Japan via private jet in late November. He’s been in custody since that time, as Japanese prosecutors have repeatedly pushed for him to remain behind bars. Renault held off on its own investigation, claiming that due process must be followed in Japan; however, pressure from French government officials – the largest shareholder of Renault – led the automaker to begin its own investigation. Ghosn has maintained his innocence from the start. He recently told Japanese newspaper Nikkei that “plot and treason get the blame” for his arrest. Ghosn has been held in solitary confinement ever since and looked gaunt during a court hearing earlier this month. This entry was posted on Friday, February 8th, 2019 at and is filed under Automakers, Business, Executives, Lawsuits/Legal, Mitsubishi, Nissan, Personalities, Politicians, Regulatory, Renault. You can follow any responses to this entry through the RSS 2.0 feed. Both comments and pings are currently closed.